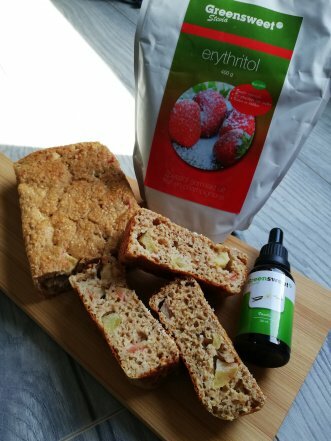 Tiffany from TiffsKitchen has again sent us a delicious recipe in which she has processed Greensweet products. Mix all wet ingredients together. Then add the dry ingredients. Make sure it is mixed well. Then stir in the pieces of apple with a spoon. The cake should be in the oven at 180 degrees for about 35 minutes. So you see, that you can put a healthy and tasty cake on the table very quickly and easily. Did you make this cake? Let me know and let you know what you think.